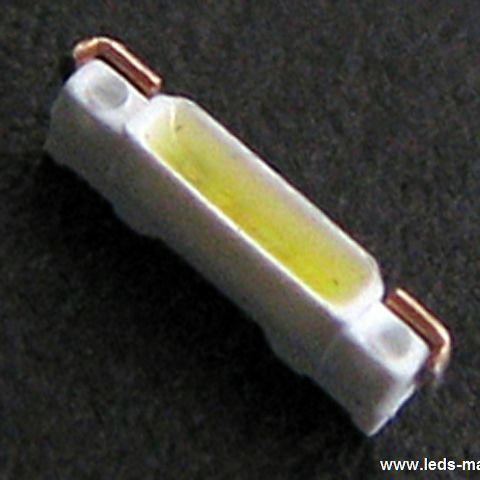 ﻿ Produce 1.20mm Height 1502 Package Side View White Chip LED , Export Mono Color,1505 Side View,3.80x0.60x1.20mm, Supply 1.20mm Height 1502 Package Side View White Chip LED suppliers, OEM Mono Color,1505 Side View,3.80x0.60x1.20mm. ◇ Side view white LED. ◇ Lead frame package with individual 2 pins. and special phosphors. This feature makes the LED ideal for light guide application.